Whatever the weather, visitors to Cornwall will never be short of things to do. There are lots of popular attractions within a short drive from The Olde House, we’ve selected a few in case you’re looking for a little inspiration. 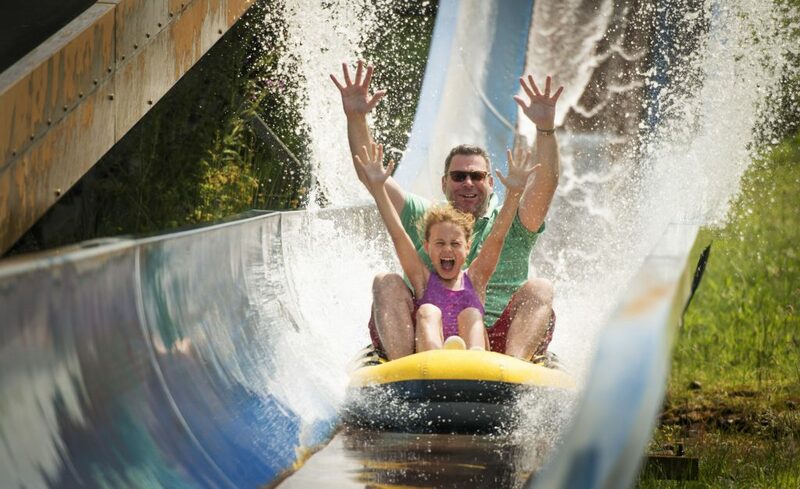 Around a 20 minute drive from us, Camel Creek Adventure Park is a haven of family-friendly rides, giant play areas and animal encounters. Boasting thrill rides, 40,000 square feet of indoor play, 35 acres of outdoor play and hundreds of animals, the all-weather park has long been a favourite with youngsters. 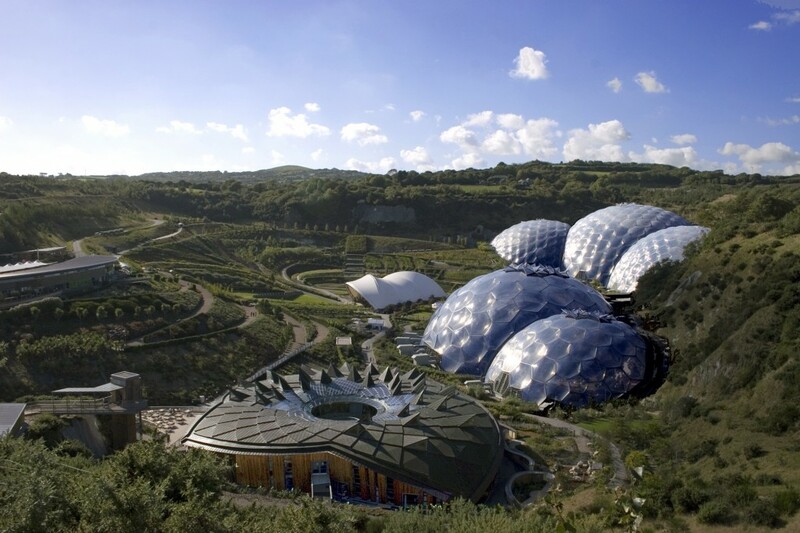 The famous Eden Project near St Austell, is home to world’s largest rainforest in captivity. Its two giant biomes house Mediterranean and tropical plants from all over the world. The Eden Project is a fascinating attraction and offers the opportunity to learn about the plants and the biomes. There are many food outlets onsite, making it a great day out for all the family. Open all year, the biomes sit in a 50 metre deep crater, which covers the area of 30 football pitches. Believed to be the birthplace of King Arthur, Tintagel Castle sits on the windswept cliff tops on the North Cornish Coast. Laden with history, the castle is a great spot for those interested in Cornwall’s heritage. Below the castle on the Castle Beach is Merlin’s cave which is accessible at low tide. With spectacular views, Tintagel Castle is a great day out when teamed with a bracing coastal walk. The National Lobster Hatchery is found on the South Quay in the fishing town of Padstow. It’s a pioneering marine conservation, research and education charity with the aim of helping to conserve the vulnerable lobster populations. Visitors to the centre can get up close to live lobsters as well as learning about fishery, sustainability and the issues they are faced with. There are even little lobsters who are looking for adopters. Set in 450 acres of stunning wooded parkland, Lanhydrock is a stunning Victorian country house in near Bodmin. The surroundings of the house are kept in pristine condition and its gardens includes its famous magnolia trees which are dotted around the higher gardens. Wheelchair-accessible paths line the immaculate flowerbeds and wind in and out of hundreds of trees and plants. Garden tours are hosted regularly by the team of knowledgable and friendly volunteers. The 50 rooms of Lanhydrock House are also open to visitors who want to get a fascinating glimpse into the life of the wealthy in the Victorian era. Overlooking Towan Beach in the surf town of Newquay, Blue Reef Aquarium is home to hundreds of sea creatures including sharks, octopuses, rays and turtles. Its centrepiece is a walkthrough tunnel which houses a coral reef with lots of exotic sea creatures. There are feeding times and talks about the fish as well as rock pool encounters at weekends.